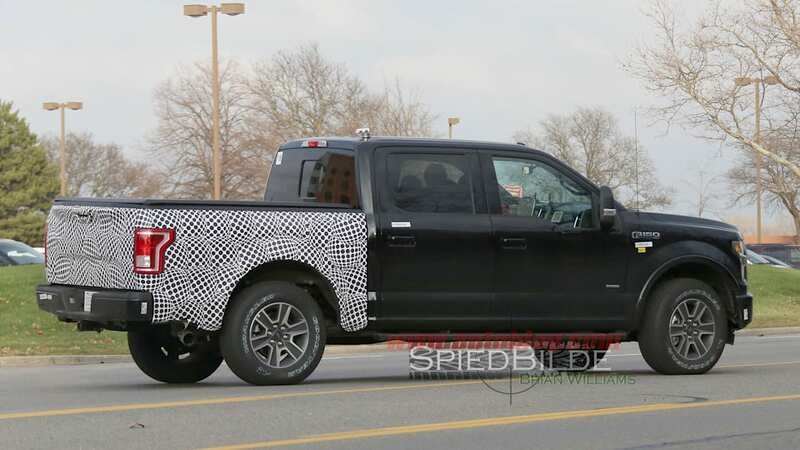 Our spy photographers just caught this Ford F-150 driving around Dearborn, wearing camouflage around the bed – not so unusual near Ford's headquarters. What's interesting with this particular mule is that it might be packing a Jaguar-Land Rover turbodiesel V6. 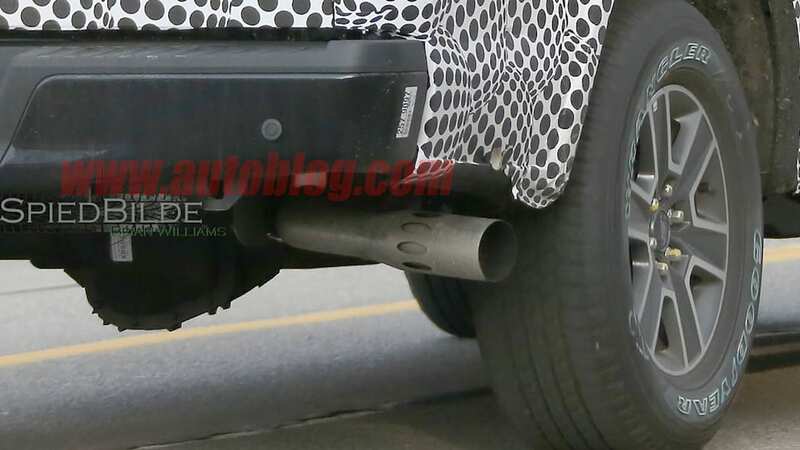 As with the Super Duty, the F-150 prototype pictured here sports a Venturi exhaust tip popping out the side of the rear bumper behind the wheel, which – along with the sound reported by our shutterbug – suggests that it's burning oil up front. That could mean Ford has found another application for the 3.2-liter, five-cylinder Power Stroke diesel that it just federalized for the Transit van. 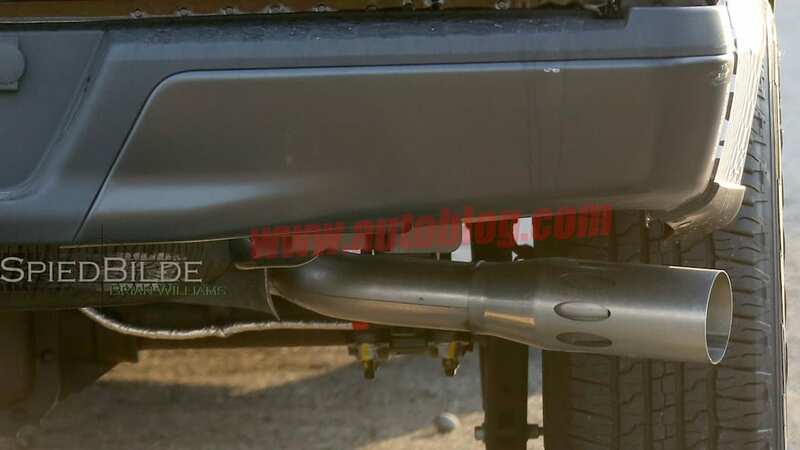 However our sources suggest what the mule is actually powered by the 3.0-liter Lion V6 diesel that Jaguar Land Rover – once subsidiaries in Ford's Premier Automotive Group – is bringing over for the Td6 models of the Range Rover and Range Rover Sport. 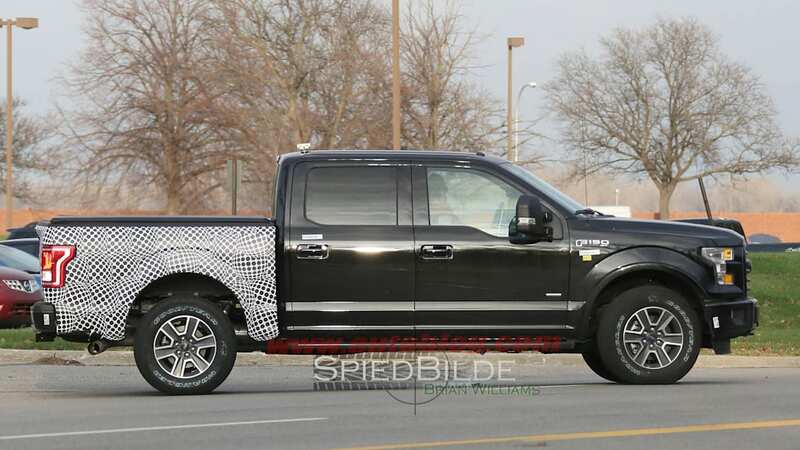 The engine produces a respectable 254 horsepower and a healthy 443 pound-feet of torque, and is tipped to be mated to the same ten-speed automatic transmission as the new Raptor. 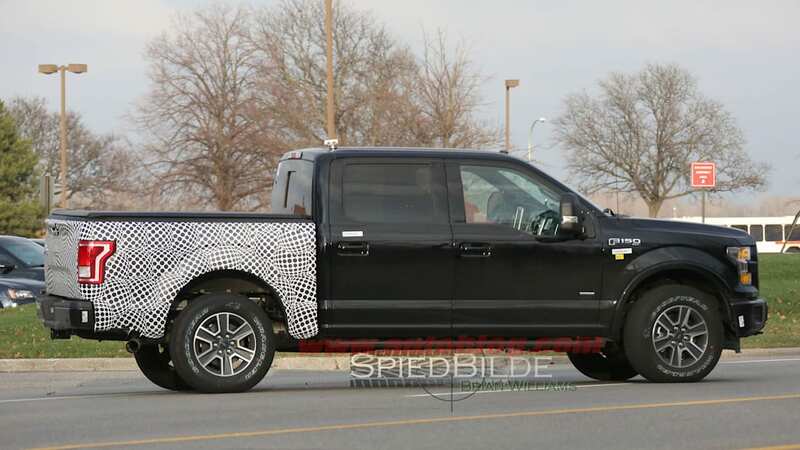 That could give the F-150 the kind of fuel economy and muscle it would need to challenge the likes of the Ram 1500 EcoDiesel and the heavier-duty Nissan Titan with the Cummins engine. With gas prices as low as they are, however, and sales of diesel-powered vehicles lagging, Ford could just be trying to keep up with the competition by offering a light-duty diesel pickup. With its lightweight aluminum body, the diesel F-150 could even surpass the Duramax diesel-powered Chevy Colorado and GMC Canyon for frugality at the pumps, according to Mark Williams of PickupTrucks.com. 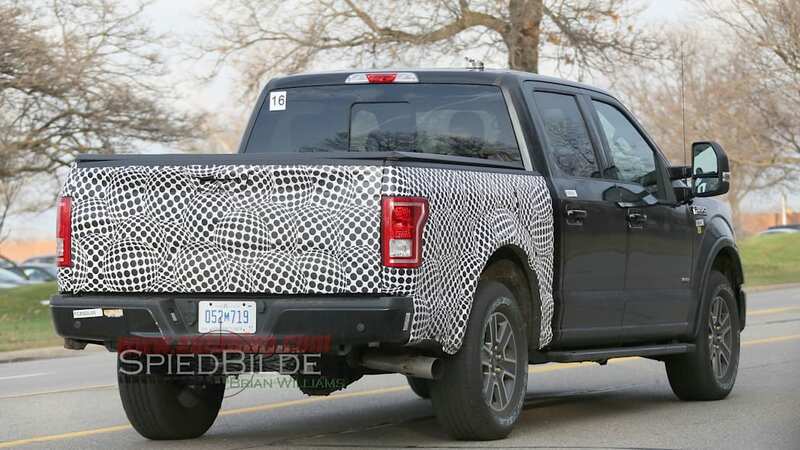 He told Autoblog that, "it makes perfect sense for Ford to do a diesel. 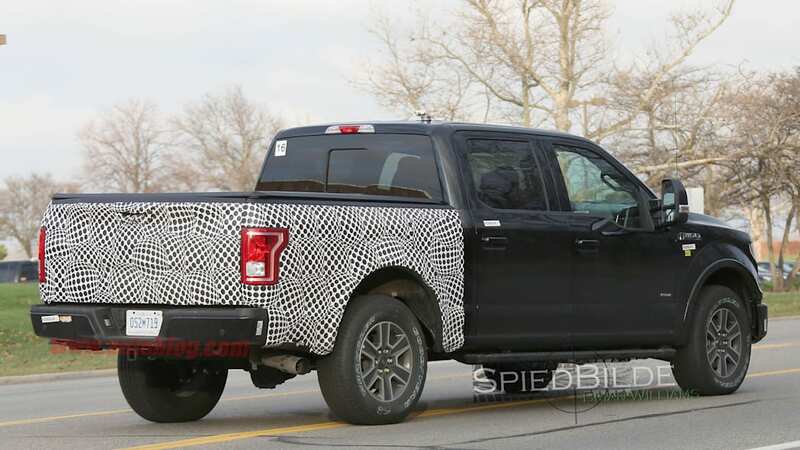 It seems like everyone is pushing them to do a Ranger, but if they can get the F-150 to push 30 mpg it can challenge the Ram Ecodiesel and even the Colorado Duramax." Reached for comment, Ford spokesman Mike Levine sent us the following statement: "We do not speculate about future products. While diesel is a solution, it is not the solution. EcoBoost offers the ideal combination of performance and fuel economy that over 60 percent of F-150 customers are choosing."